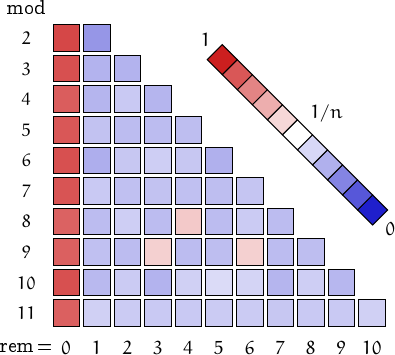 The Eulerian number , often denoted with is the number of permutations of the numbers in which elements are greater than the previous element, i.e., the number of permutations with ascents. For example, among the permutations of , there are permutations with 2 ascents, like , and . 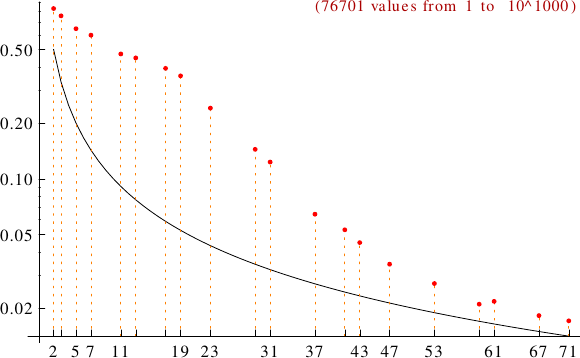 A graph displaying how many Eulerian numbers are multiples of the primes p from 2 to 71. In black the ideal line 1/p.